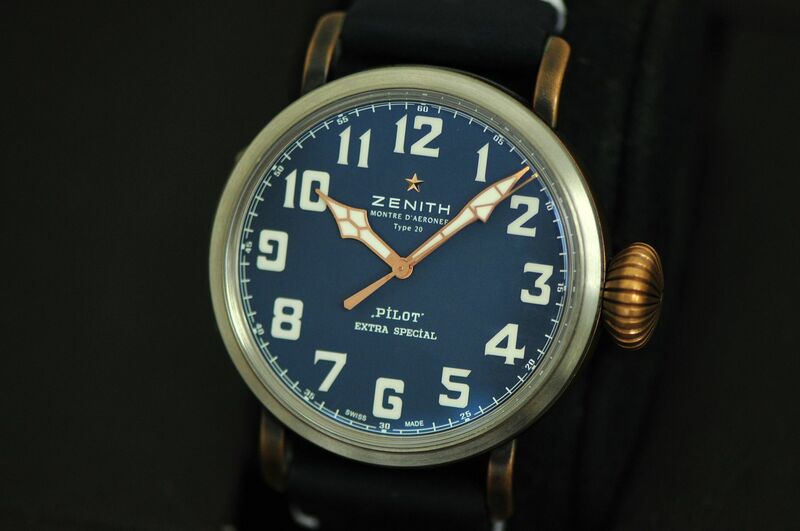 Up for your consideration is a rare LNIB Zenith Pilot Type 20 Extra Special Bronze 45mm Ref. 29.2432.679/57.C791. This is an exclusive California Limited Edition of just 25 pieces sold exclusively through Westime and was immediately sold out upon its release. It is in LNIB condition with only a slight sign of wear noticeable on the blue oem strap. The additional included brown strap remains unworn. It is a full set and comes complete with everything as it should. Warranty is dated 12/2017. Priced to move at $4,975.00 shipped and insured in the CONUS. More pictures as well as tons of worldwide references available upon request. Please email me directly or call me to discuss or with any questions or specific requests you may have. Thank you.